This is a sponsored post. I was compensated and given complimentary materials to use and review, but the opinions in this post are 100% my own. I don’t really sew. You might even be sick of me telling you that. I can kind of do straight lines, and I do have some knowledge of backstitching and how to wind a bobbin, really basic stuff. 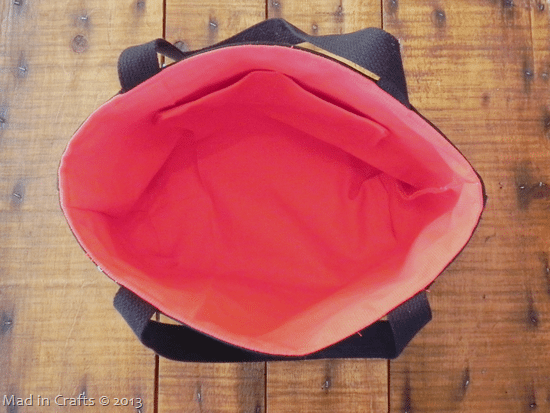 So when amykathryn sent me one of their beautiful DIY Gerbera Tote Bag Kits, I was wary. I wanted to do their product justice, but would my lack of sewing skills hold me back? 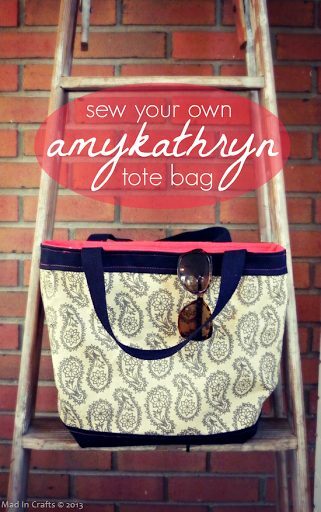 I opened up the package and laid out all the pieces of the tote bag as they were shown in the amykathryn DIY tote tutorial. I needed to supply my own scissors, tape measure, iron, pins, and thread – all of which I had on hand. I followed the tutorial to the tee to make sure my project didn’t go off the rails. The tutorial was easy to follow and provided clear photos to accompany each step. The photos REALLY helped me through the process. (I am one of those weirdos who likes IKEA directions too.) I made the whole bag while my son was gone for Kindergarten one morning. 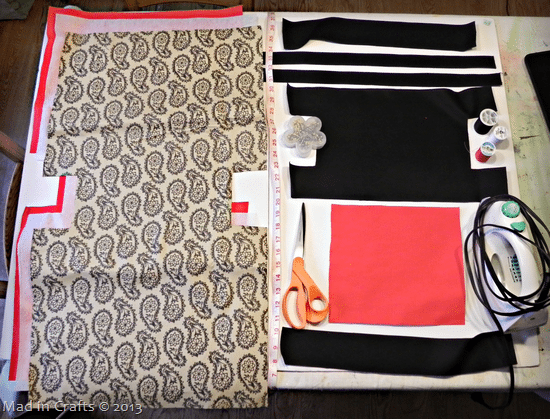 It would have taken less time, but my sewing machine and I had a few fights along the way. Not too shabby, if I do say so myself! The contrasting top-stitching wasn’t a design choice; my black thread was too lightweight and kept snapping as I tried to sew through the canvas. Even though the red thread makes my not-so-straight sewing stand out, I like the way the top-stitching ties in the color of the lining. That’s right. It’s lined. With a pocket and everything. 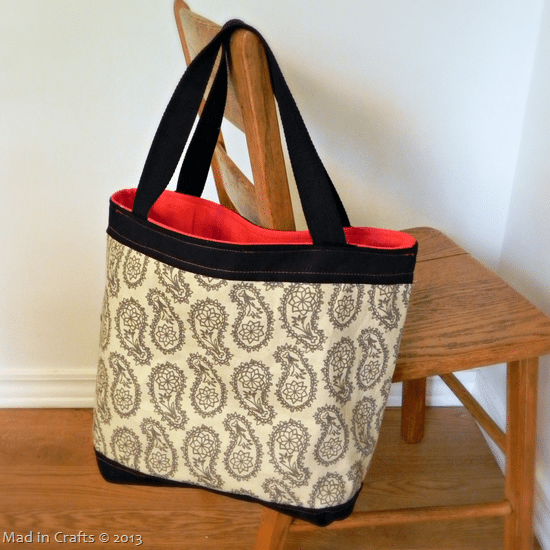 I would never have made a tote like this without the kit from amykathryn. 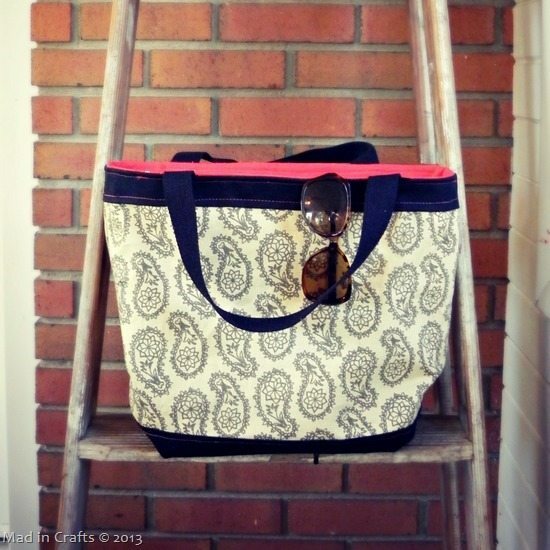 When I showed my mom a picture of the finished tote, she almost couldn’t believe that I had made it. The amykathryn kit did all the tough parts (aka the math) for me, I just had to follow the tutorial! 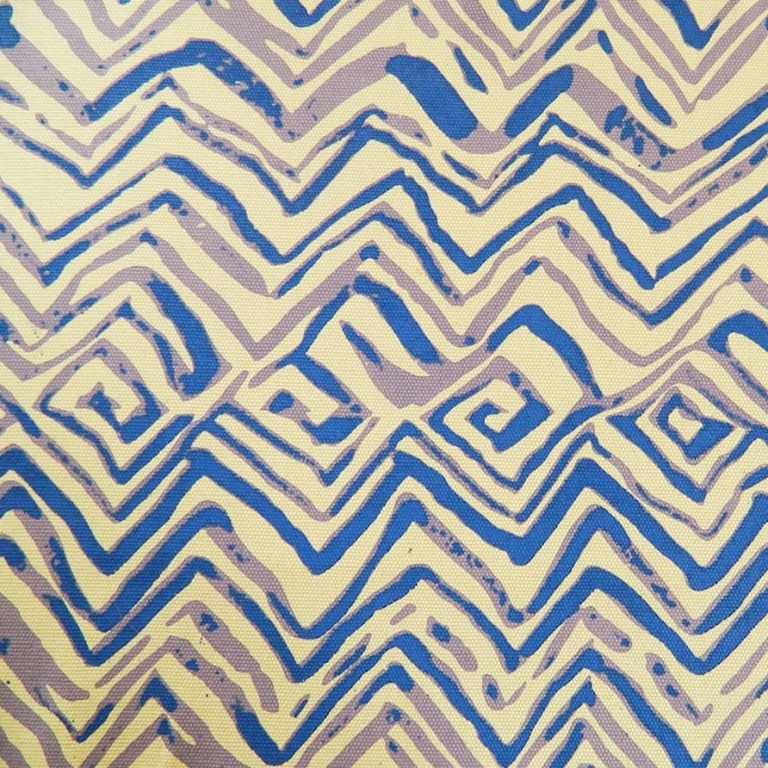 You can even buy yardage of their printed fabrics like this lovely Chevron Blues Cotton Canvas – the same fabric used in the Tulip bag above. 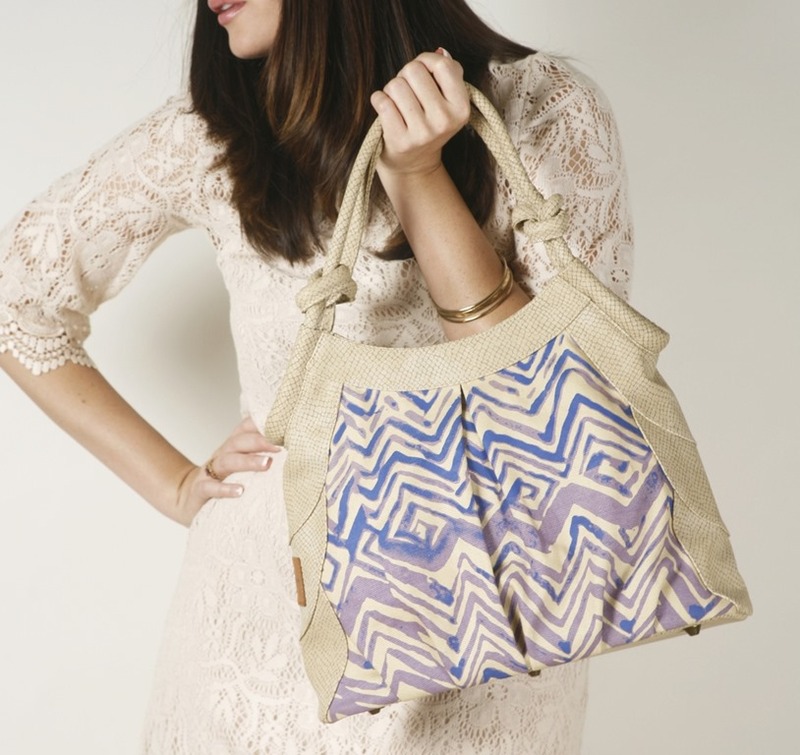 If you are in the market for a handbag, check out amykathryn! I think you will be impressed by the unique printed fabrics and the variety of available styles. 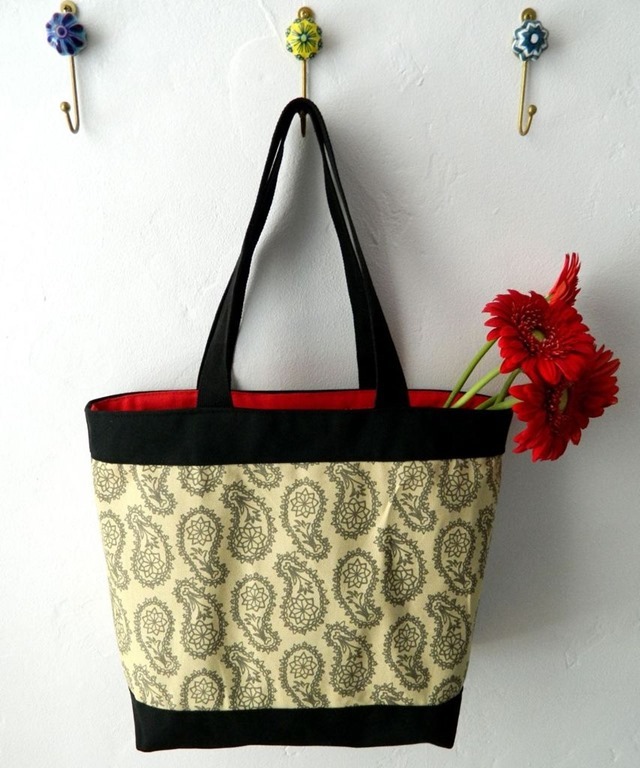 And, if you are willing to try your hand at making your own bag, order one of their tote bag kits. If I can make one, anyone can!